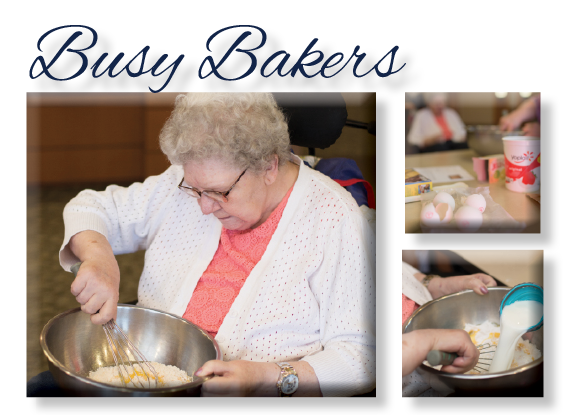 Great Activities Enrich Our Residents Lives. As Life Enrichment Supervisor I have the ability to make a direct impact on the quality of life our residents receive. 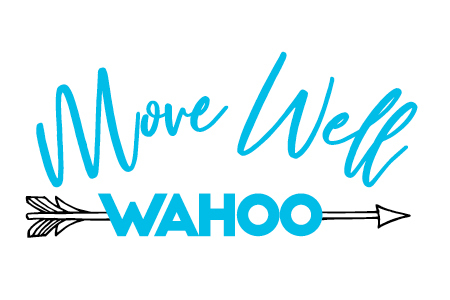 The creativity to improvise programs that will champion each resident’s quality of life through individual, tailored activities that match their hobbies and interests. Residents trying new things, going out on outings and reminiscing about them later, enjoying each other and having fun. Engaging with our residents daily helps to create meaning to their day, giving them joy and balance of life. The activity calendar has a variety of events and programs that challenges seven entities of our lives. 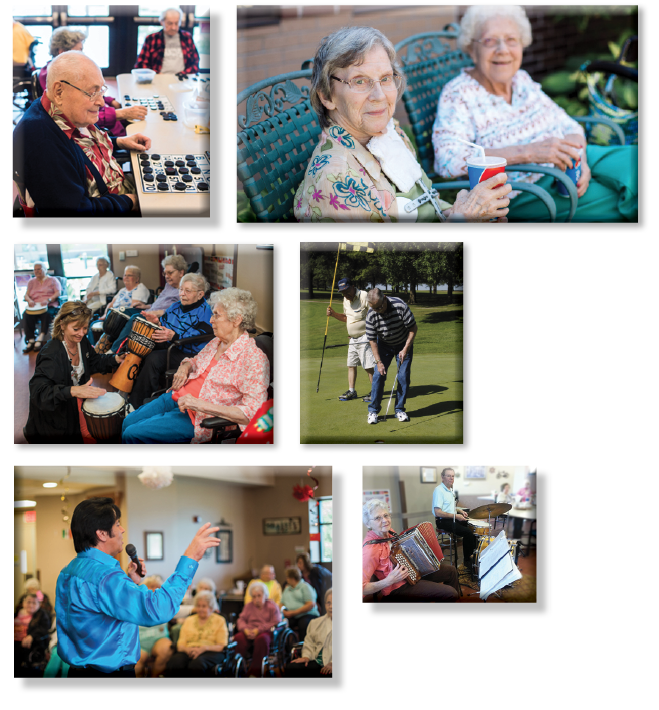 We make sure every resident has an opportunity to be physically active, as well as intellectually and to be creative. We incorporate social gatherings, we have spiritual meetings and have balanced the emotional side of being if needed. We also include intergenerational activities as well. Our activities are resident driven. We care about what is important to each person and include some interest of theirs in each program offered. In doing so we have balanced the seven layers of activities. Please send your email address so we can send updates of the activity calendar and pictures of your family members engaging in life enrichment activities. Every week you can plan on some kind of live entertainment, large group fun activity, baking and quality time with our staff. We try and find activities that reflect who you are! Field Trips We have taken a bus load of residents to Theatres, the International Quilt Study Center & Museum and Henry Doorly Zoo to name a few. Pet Therapy A volunteer from the local shelter brings around her favorite pets to love on you, if you like! Porch Sitters Join us to enjoy the weather outdoors and often we are treated to their nails polished by high school volunteers or watermelon on a hot day. Entertainment by Various Groups from musical Merry Makers who understand memories are tied to music...to youth dancing entertainers! Sharing recipes and making them is a hot item around here! We have made anything from dumplings to pie! All gather around and help with measuring ingredients to rolling out the dough. Then we get to share and enjoy the treat! Come visit us or join us for an activity! See the activities calendar for upcoming events!